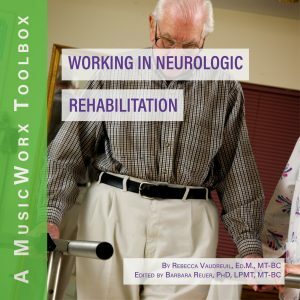 The MusicWorx Toolbox course Group Music Therapy Interventions in Working with Older Adults explores techniques for using music therapeutically with the older adult population. 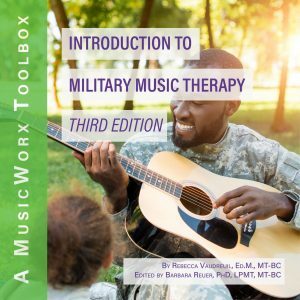 By design, music therapists develop and use music tools to encourage social interaction, improve feelings of self-worth, and build sessions that create successful and enjoyable client experiences. Contains several visual aids, suggestions for session props, and song lyrics throughout the resource. References to items on the Board Certification Domains are based on the Practice Analysis Study of 2014. 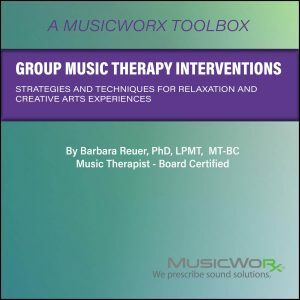 Those registered for the MusicWorx Toolbox course Group Music Therapy Interventions in Working with Older Adults will develop or improve their abilities to use music therapeutically in older adult settings for both individual and group sessions. Participants will learn about implementation and structure of therapy techniques and how to implement the methods in an effective manner. 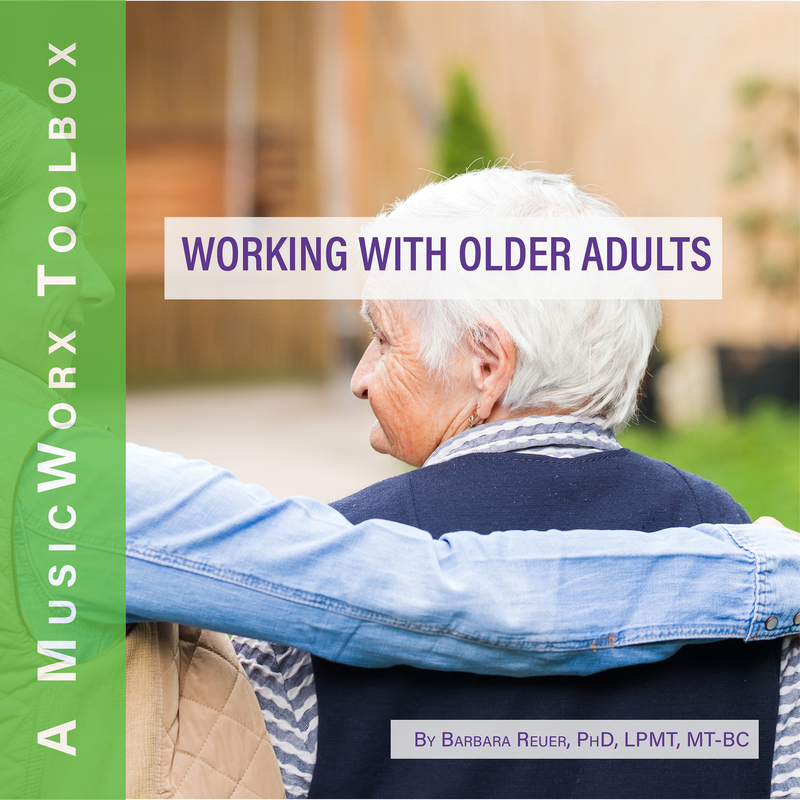 Describe four effective music therapy intervention types appropriate for older–adult populations. Individualize at least two of the interventions from the book to enhance the effectiveness of therapy. Explain use of cues (visual aids, movements, etc.) to assist communication with an older adult. The large number of detailed session plans is very useful to my practice. It is a great resource that I am sure I will refer back to when I need an idea for a session. I thought it was perfect and exactly what I expected. I just started the first of two required internships for my counseling degree. I am planning to provide services at a shelter for women and children who have been trafficked, who experienced or witnessed domestic violence, and / or who are refugees. I have found myself referring to my MusicWorx Toolbox several times. The MusicWorx experience keeps on giving. Thank you, Barbara! I think these Toolboxes are great! I am learning a lot . . . . This was well organized and easy to put into practice right away. I enjoyed the drumming / instrumental activities.